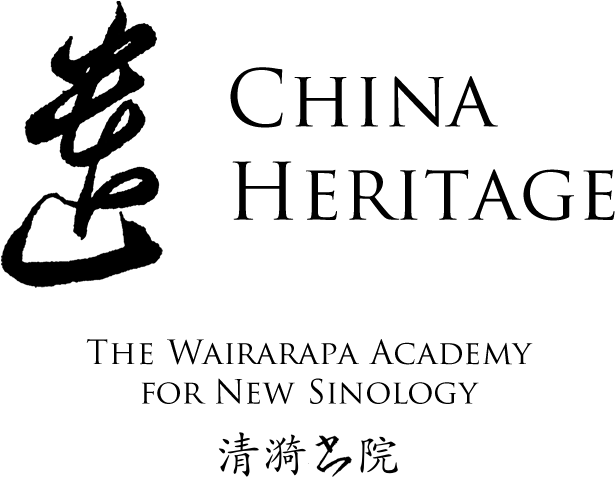 As part of our recently completed Wairarapa Academy Symposium ‘Dreaming of the Manchus’ 八旗夢影, which took place at Longwood Estate near Featherston in late February this year, we held a number of informal Translation Salons 竹林譯苑. For these we prepared and distributed a series of Wairarapa Readings 白水札記. 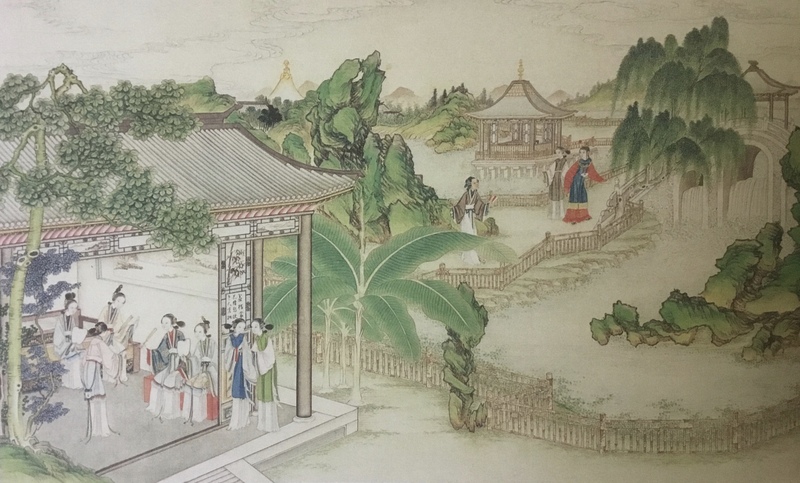 One of the Readings — 白水札記 · 伍 — contained the two letters addressed to Jia Bao-yu in Chapter 37 of The Story of the Stone 紅樓夢 (the chapter is entitled ‘A happy inspiration prompts Tan-chun to found the Crab-flower Club’ 秋爽齋偶結海棠社). The witty version of these letters by David Hawkes — one scaling the heights of elegance 雅, the other plumbing the depths of vulgarity 俗 — served as an inspirational example of the master’s translation style. We reproduce that Reading here with remarks from noted Commentators. My thanks to Annie Ren 任璐曼, a Stone specialist, for her work on the Readings, and her contributions to this modest publication. Don Armado in Love’s Labour’s Lost is an affected Spanish braggart, a man who thinks himself finer than he actually is and talks in mind-bogglingly fancy language, qualifying every word a dozen ways and taking paragraphs to get to the point. Some nights ago, when the moon came out in a sky freshly clear after the rain, the garden seemed veritably awash with moonlight, and sleep in the face of so rare a spectacle was unthinkable. Thrice the clepsydra had been turned, and still I lingered beneath the tall paulownias, reluctant to go in. But in the end the treacherous night air betrayed me, and by morning I was lamentably indisposed. How kind of you to have visited me in my sickroom! and how exquisitely thoughtful to have sent your maid-servant shortly afterwards with solicitous inquiries and with those delicious lychees and the calligraphy by Yan Zhen-qing! While I have been lying here quietly on my own, I have been thinking how in the olden days even men whose lives were spent amidst the hurly-burly of public affairs would keep some quiet retreat for themselves with its tiny corner of mountain and trickle of running water; and how they would seek, by whatever arts and blandishments they knew of, to assemble there a little group of kindred spirits to share in their enjoyment of it; and how, on the basis of such leisure-time associations, rhymers’ guilds and poetry clubs were then founded, so that the fleeting inspirations of an idle hour might often be perpetuated in imperishable masterpieces of verse. Now although I am no poet myself, I am privileged to live ‘midst rocks and streams’ and in the company of such gifted practitioners of the poetic art as Xue and Lin; and it seems to me a great pity that the romantic courts and pavilions of our Garden should not echo with the jocund carousal of assembled bards, and its flowering groves and blossoming banksides not become places of wine and song. Why should the founding of poetry clubs be the sole prerogative of the whiskered male, and female versificators allowed a voice in the tunable concert of the muses only when some enlightened patriarch sees fit to invite them? 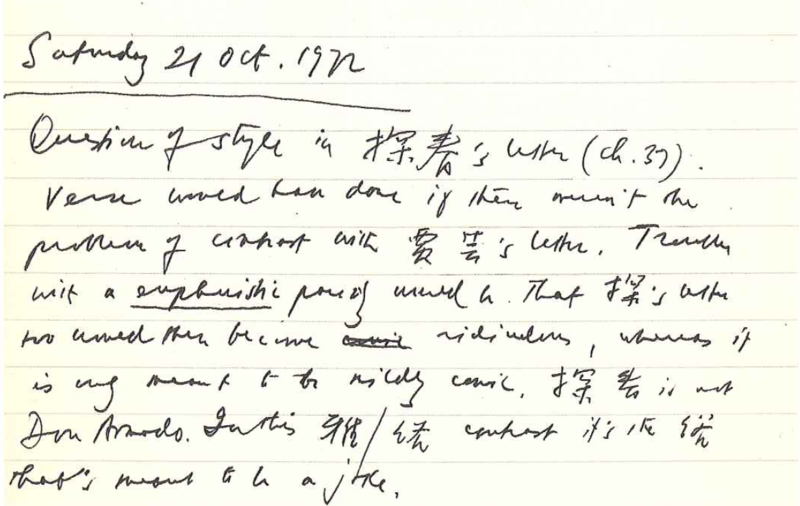 Chinese annotations of the text are mostly taken from the mainland edition (人民出版社, 1988), with annotation by scholars including 啟功、周汝昌、俞平伯、李希凡、馮其庸; and also 紅樓夢校注本 (北京師範大學出版社, 1995).